“The implications of the Supreme Court decision are still being analyzed at the state level,” Rep. Chuck Williams told me when I spoke with him by telephone on Aug. 1. Williams represents the 119th House District, which includes all of Oconee County except three precincts. Williams said he does not believe the Supreme Court decision gives the state “a green light to redistrict willy-nilly.” But the striking down of the need for preclearance may “eliminate one hurdle” to the legislature taking up redistricting, he said. The Supreme Court in a 5-4 decision on June 25 struck down Section Five of the Voting Rights Act of 1965. That section required federal preclearance of election changes in places with a history of racial discrimination. The preclearance requirement had applied to nine states--Alabama, Alaska, Arizona, Georgia, Louisiana, Mississippi, South Carolina, Texas and Virginia--and to counties and municipalities in other states, including to boroughs of New York City. U.S. Attorney General Eric Holder has announced a series of actions to challenge the Supreme Court decision. 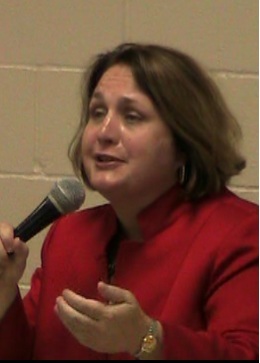 Rep. Regina Quick, whose 117th District includes the Oconee County precincts of Athens Academy, Malcom Bridge and Bogart, said the plan she had drawn up to shift those three precincts to the 119th District should not be affected by the Supreme Court decision. “I don’t think the proposal to put Oconee County back together would have had any problems in getting preclearance,” she said when I spoke with her by telephone on July 31. 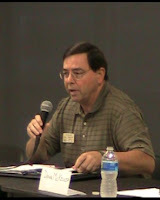 Quick had requested before the General Assembly meeting in January that the Reapportionment Office of the General Assembly prepare maps and legislation that would move parts of Clarke County out of Williams’ district and into hers in exchange for moving the three Oconee County precincts to Williams’ district. Quick did not introduce the legislation once she learned that the House did not intend to take up redistricting during the session. Quick said she has not talked Rep. Randy Nix, LaGrange, a Republican and chair of the House Reapportionment Committee, or to House leadership about the implications of the Supreme Court decision for a reconsideration of redistricting. Quick said that Gov. Nathan Deal also has not indicated if he is receptive to making changes in the Georgia districts. The General Assembly, in a special session in 2011, redrew House and Senate boundaries around the state. The U.S. Department of Justice approved the 2011 district lines. Quick said that Nix and his committee did not draw up any list of criteria for making changes in House district lines. Williams has said he is supportive of the changes Quick has proposed. Williams said that he also has not spoken with Nix or House leadership about the proposed changes in light of the Supreme Court decision. “What I hope is going to happen,” he said, “is that the legislature is judicious in response” to the Supreme Court decision. “What makes sense for the citizens of Georgia” should be the standard for any new districts, he said. Williams said he might have a better sense about where things stand on redistricting when the Republican Caucus gets together in September to election Caucus leadership. Quick and Williams are Republicans. It is possible that Republicans, who control both houses of the Assembly, might want to avoid redistricting altogether until the implications of the Supreme Court decision are more certain.